I have heard of the leveling effect, which mentions that highly basic ions cannot exist in a solvent if it's acidity is high enough to be deprotonated by the base. Considering that, check out the Grignard reagent. I'll use a methylgrignard for this purpose, generated in a diethylether solvent. The inductive pull may not be much, but it certainly makes it more acidic than a regular hydrocarbon hydrogen. However we know that Grig reagents do work in ethereal solvents. How is it so? Edit: This isn't a duplicate of the mentioned question. My question deals with acidity of $\beta$ hydrogens. We tend to assume that acid-base reactions are instantaneous. But they need to go through an activated complex of higher energy, like every other reaction. These reactions are usually done at - 78°C. As long as the energy provided to the system is below that which is required to reach the activated complex there should be no reaction. I know for sure that tetrahydrofuran is fully deprononated by nBuLi at room temperature. The color turns deep yellow, if I recall correctly. 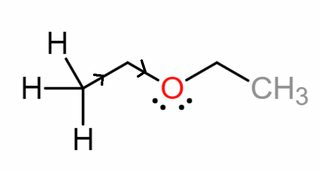 Why can Grignard's Reagent be stored in ether? Do Grignard reagents react with amides? Do Grignard reagents deprotonate amines?